I was approached by Dr Beverley Tachon to produce a small one page website to support her Guernsey Practice. Click here to view the Psychology Guernsey Website. Client Feedback: Dr Beverly Tachon, Psychology.gg. 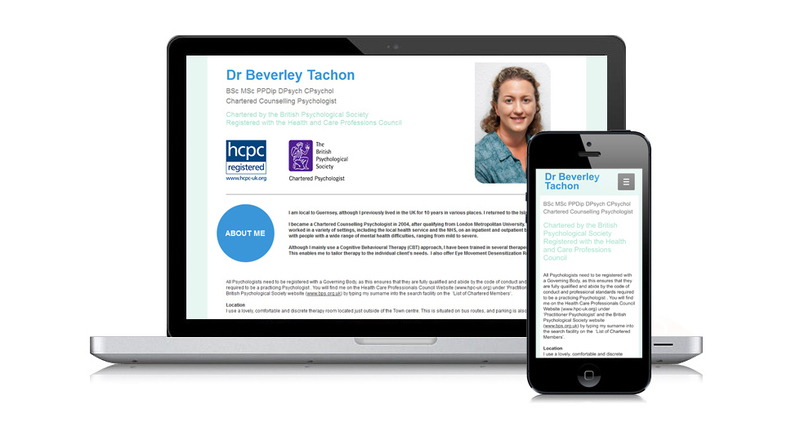 Dr Beverly Tachon wanted a simple one page website to act as an ‘online business card’. The site was to serve as a point of reference for people in Guernsey searching for her services. The simple, flat design contains information about Beverly and where here therapy room is located. Calm subtle colours were used to compliment her existing business cards and printed media. 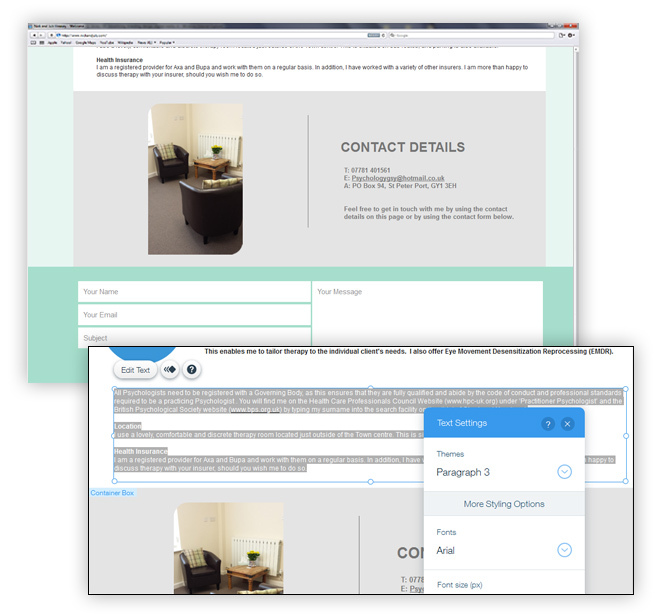 A contact form was also incorporated into the footer of the website design to allow people to get in touch easily. The website is optimised for mobile phones and tablets as well as computers. Mobile website design is essential for any business these days as mobile consumption of the internet is now overtaking traditional ‘desktop’ usage. The design of the site ensures that whether users are viewing the site on their iPhone or home PC, all content is readable and easy accessible. Beverly wanted to be able to update the website herself so that information could be regularly kept up to date and accurate.